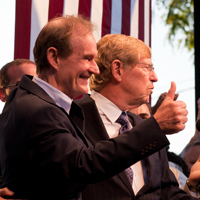 History will look back at August 4, 2010 as a landmark date in the fight to realize America’s promise of equality. For the first time, a federal court ruled that the Constitution of the United States guarantees all Americans all of the same rights—including the freedom to marry. Chief Judge Vaughn Walker’s sweeping, 136-page ruling eviscerated the Proponents’ case. His decision unequivocally declared that Proposition 8 is unconstitutional, that it is discriminatory, and that it serves no purpose other than to create second-class citizenship for gay and lesbian Americans.